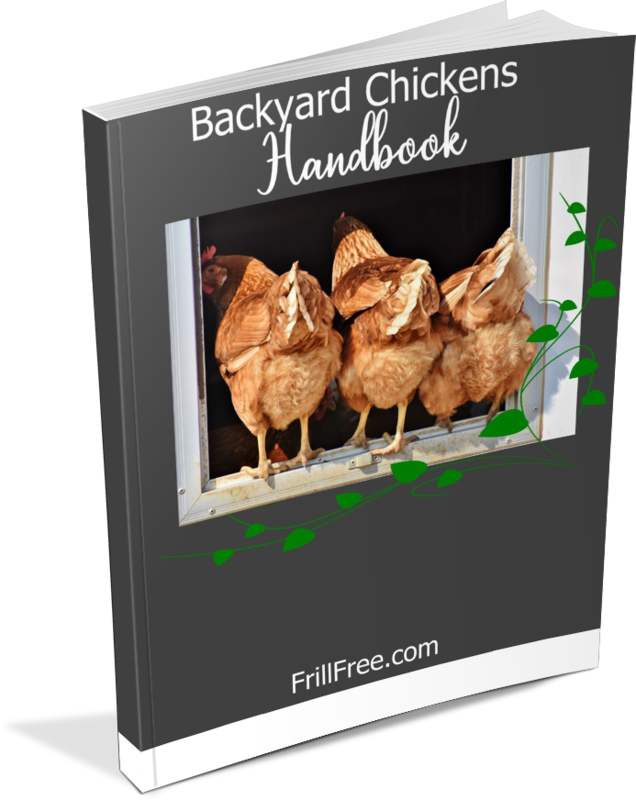 Apart from the obvious difference of size between regular backyard chicken breeds and Bantams, Bantam roosters have a few other characteristics that set them apart. As a group, Bantams retain many differences in temperament and instinctual behaviour that has been bred out of many egg laying breeds. Broody hen mamas take instinctual maternal behaviour to a whole new level, and Bantam roosters also have some eye-opening traits of their own. In many cases, these traits lie dormant until the need arises. As far as physical characteristics go, there is a lot to choose from. My preference is a dark bird, and I like rosebud or raspberry combs, simply because they don’t get frozen in colder climates. 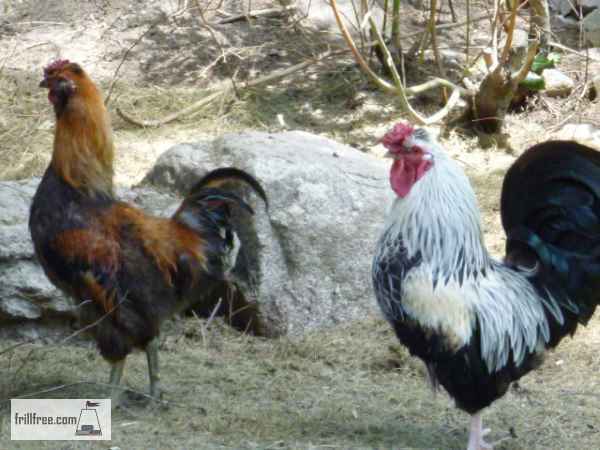 The larger upright combed roosters do fine in hot climates, as it acts as a radiator to cool the bird off. As far as size goes, there's quite a range. I've had Japanese bantams that could sit in the palm of your hand (if you could get them to sit still long enough) and other mixed silky breeds that were about ten to fourteen inches tall at the top of their head. 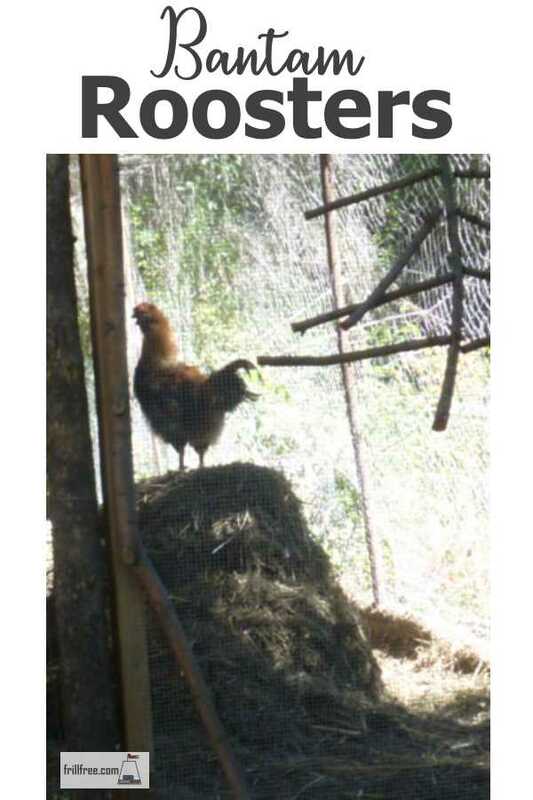 Most people know that in a chicken flock, it’s recommended to only have one rooster to several hens, but in my case, I have several couples that live gregariously with no infighting between the roosters. It seems dependent mostly on age, the different clutches that were raised together forming little cliques. I made the mistake of getting rid of one couple (a rooster and a hen) to someone who wanted to start their own bantam flock, and the remaining rooster pouted and sulked for months. He was lonely because his mate was sitting on a clutch of eggs, and he would go in throughout the day to check up on her and have a short conversation. At around three to six months old, roosters will mature and start to want to do their manly duty. This involves bragging up their manhood (crowing) and thrashing their opponents, sometimes quite bloodily. Spurs start to grow at this age, but generally these aren't that big or sharp until their second year. This is what causes a lot of damage in their fights, which is a good reason to only have one rooster. The different aged roosters have a system with the younger ones running away respectfully, and seldom facing off. Any Bantam roosters in my flock that show signs of the Napoleon complex quickly are sent to a new home, and I don’t allow fighting. The funniest situation was when two same aged roosters would play the respect game, only to go to roost together at the same time in the evening, even while the hens pecked around the outside pen. The two in the picture above, Rags and Tarnish, were tight buddies; they hung around together, and when Tarnish went to a new home with one of his favorite hens, Rags was desolate. Who knew that they had such deep affection for each other? One of my older Bantam roosters guards the broody hen and her four chicks, standing on the top of the compost pile, even calling the chicks to a tasty morsel, and hanging out with them. They warn of any birds flying by, especially hawks or ravens which are an ever present danger to young chicks. The chicks instinctively know what the warning call means, running for cover until the all clear sounds. Even though this particular Bantam rooster is a bit shaggy and scruffy - going by the apt name of Rags - he is a valuable member of the flock due to his protective assertive nature. Teaching the young cockerels their manners, herding the young pullets and doing his manly duty with the mature hens is a full time job, one which a good Bantam rooster gladly takes responsibility for.